From his early days Sanjay showed all signs of a prodigy. 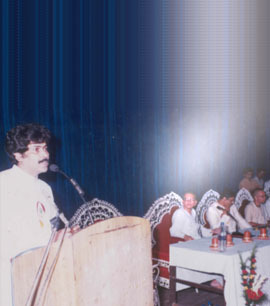 Sanjay used to get calls to sing in public cultural programmes in numerous places in greater Shyamnagar, his birth place in the North 24 Parganas of West Bengal, and Barrackpore subdivision. In those days of early 70s video camera or even a tape recorder was a rarity. 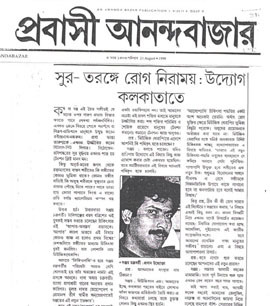 Consequently not a single evidence of Sanjay’s taking part as a singer of modern songs or songs of Tagore or of Quazi Nazrul Islam in countless soirees is available today anyway. 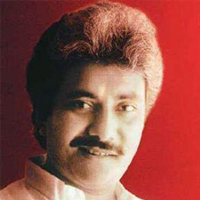 But upon many efforts, samples of two devotional songs of Sanjay sung without any instrumental accompaniment in his very early youth could be traced back. In that early age Sanjay had numerous occasions to appear as a Tabla accompanist in many a musical evening but that all went unrecorded and hence not available today. 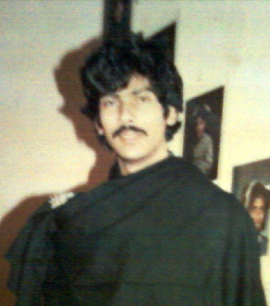 At a little later time, Sanjay had faced problems in his vocal chords and therefore he switched over to instrumental music, that is, Harmonium playing. By the time he turned 17 his Harmonium playing started taking place in All India Radio which was the highest point of recognition for an artiste at the period of time. 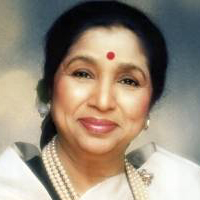 Sanjay mastered over the art of Harmonium playing to the extent that be became a sought-after-accompanying-artiste to a galaxy of luminaries like stalwart musicians, Bharat Ratna Pandit Bhimsen Joshi, Pandit Mallikarjun Mansoor, Vidushi Girija Devi, Vidushi Kishori Amonkar, Ustad Zakir Hussain, Pandit Ajoy Chakrabarty, Dr M. Balamurali Krishna, Shri T. N. Sheshgopalan and many other musicians of national and international acclaim. 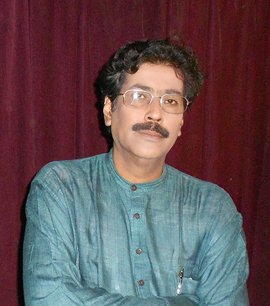 With the passage of his adolescence Sanjay began to get deeply involved in his research works about the theory and practice of Bharatiya Sangeet, that is, Indian music and thus it gradually dawned upon him that the instrument, Harmonium, is not competent enough to depict all the delicate intricacies of Bharatiya Sangeet in its required detail. 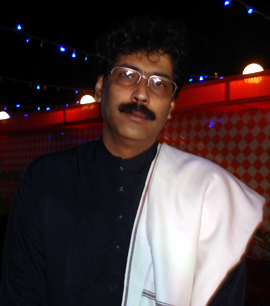 During such time in his 19 while storming concert after concert across the country and abroad with blinding flashes of his Harmonium accompaniment sharing stages with world-class maestros, Sanjay took a sudden turn having begun to learn the most popular Indian string instrument, Sitar, from none other than the legendary maestro Pandit Nikhil Bandopadhyay. 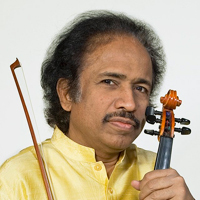 In this new music domain too Sanjay took no time in receiving calls for staging his Sitar recital both in country and in some places abroad. 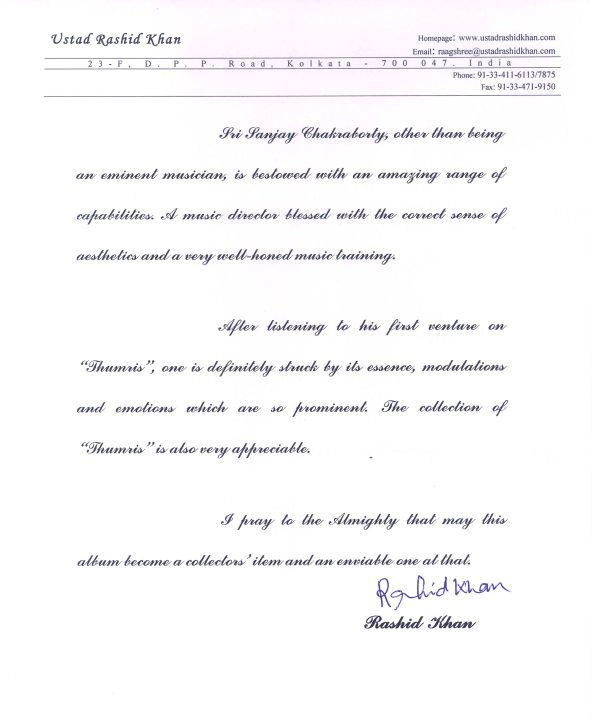 One such performance of his age of 24 years with Tabla accompaniment by Pandit Samar Saha is available on the ‘Instrumentalist’ page of his above website. One can have a taste and experience as to how despite giving time in the existing stream of vocal rendition and harmonium playing Sanjay could raise so high with Sitar in a matter of so small time. On an unfortunate turn having had a surgery for some physical reasons, Sanjay had to stay away from Sitar practice and playing. 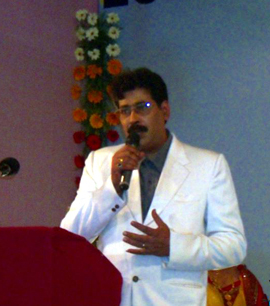 This medical stricture being for over a good few years, Sanjay made him remain busy with his other dormant faculties – writing and tune compositions. For the time being though his vocal chords seemed problematic. 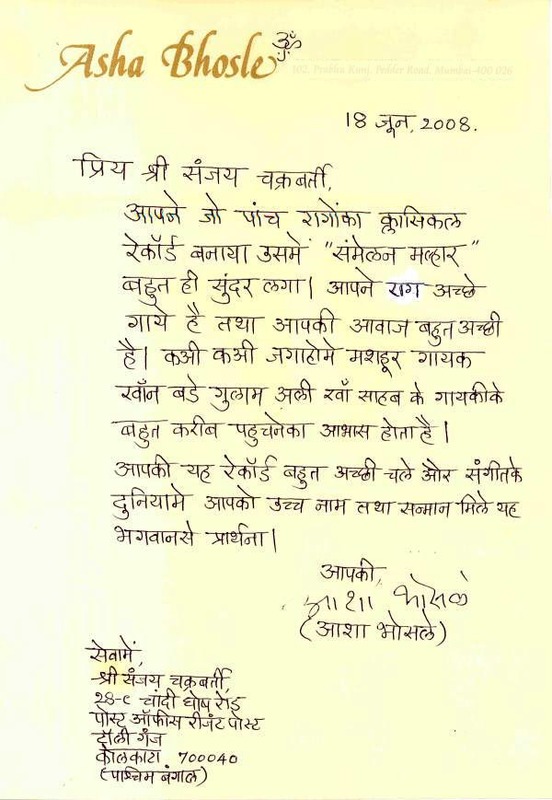 Sanjay could get rid of that by the grace of their family spiritual guides, Shri Shri Premananda Teerthaswamiji and Shri Shri Sadananda Brahmachariji, and thus Sanjay could give attention to his practice of vocal music again in full swing. 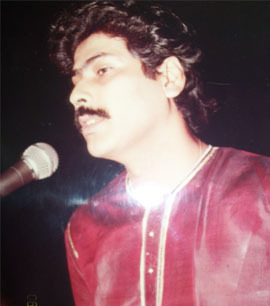 The result was obvious that music listeners all around got Sanjay in their midst today as a vocal performer of Khyal, Thumri and many other genres of A-Top-Grade caliber artiste. Some of his latest works also are available in audio/video formats on the ‘Interaction/Public Programme’ page of his same website. 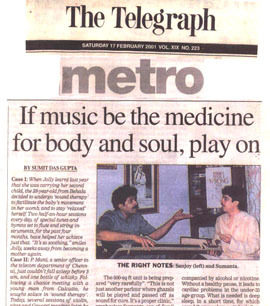 Beyond all above musical activities, one can find Sanjay in medical conferences where his statements as well as some demonstrations are taken about all nittigritties of music therapy and its wonderful effects on humans and others. Again Sanjay may sometime be found in conducting workshops continuously for 10/12 hours demonstrating many different dimensions derived from innermost attributes of music other than just rendition of its usual performance. Sample documentations are available in his aforesaid website.